Sayulita Sol Jewelry opened its doors in 2004 in the heart of Sayulita, Mexico, one hour north of Puerto Vallarta. Since then we have expanded, and in 2017 we opened two new locations where you can shop our contemporary jewelry designs; destination wedding jewelry; and fun, fashion jewelry. Almost all of our designs are hand made in our jewelry boutiques. Designer, Kimberley Keehn, has been making jewelry for 25 years. What started out as a summer hobby has become a career. Since 1995, Kimberley has traveled and sold her exquisite creations worldwide. In June of 2004, she settled down and began designing jewelry in Sayulita, a small Mexican beach town. 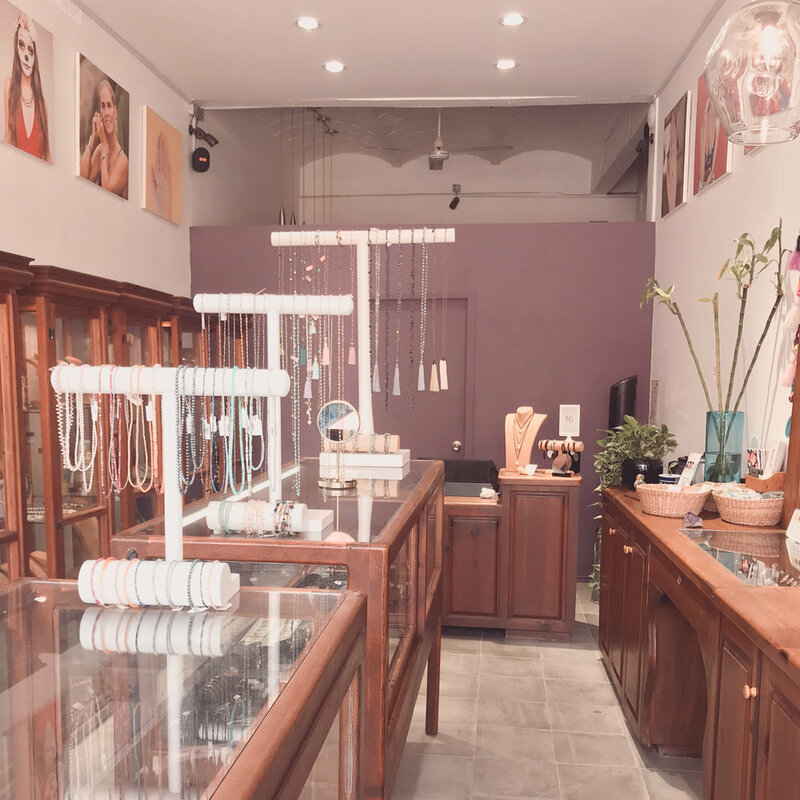 Her Sayulita Sol Jewelry designs have been wildly successful and the Sayulita jewelry store has undergone expansions and design renovations over the years. We use natural gemstones, sterling silver, 14kt gold fill, and vermeil in virtually all of our designs. Our boutique is home to several designers creating jewelry, using Kimberley's designs and their own. Each designer has her own distinct style. Sayulita Sol jewelry is professionally handcrafted, uniquely original. You won't see it anywhere else. Click to learn more about the story behind Sayulita Sol Jewelry and designer Kimberley Keehn.